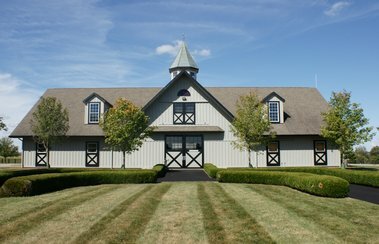 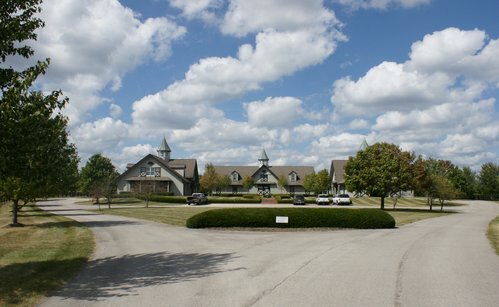 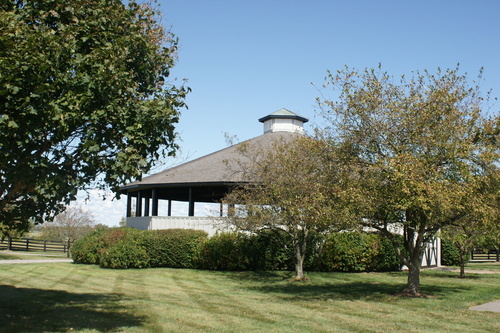 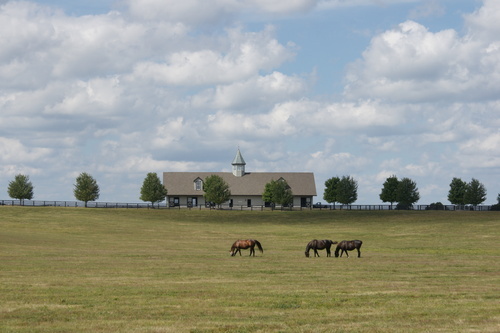 Located in desirable Woodford County, Diamond A counts among its immediate neighbors such stalwarts in the horse industry as Coolmore/Ashford, Gainesborough, and Stonestreet farms. 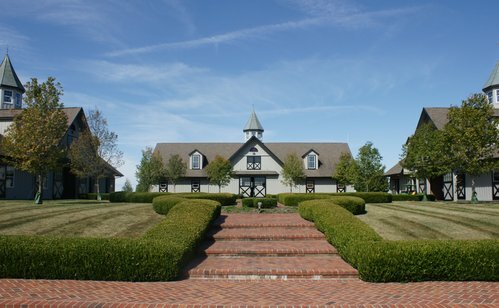 The centerpiece of the farm is its office/stallion barn complex which is situated in a well-landscaped courtyard with brick sidewalks and entered through an electronic stone-pillared gate via a mature, tree-lined driveway. 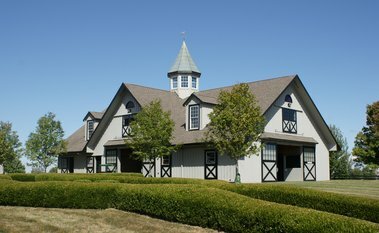 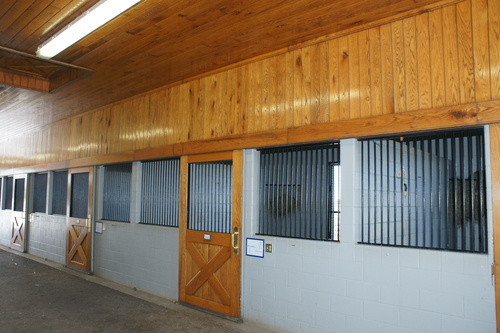 The complex is comprised of an 8 stall stallion barn, a state-of-the-art breeding barn, and an auxiliary 5 stall stallion barn with an adjoining 1,500 square foot office. 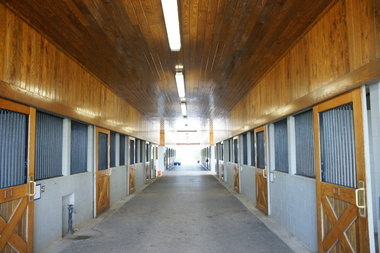 This complex is very adaptable to a yearling complex as well. 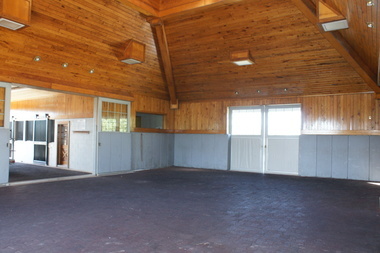 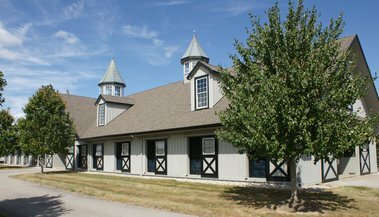 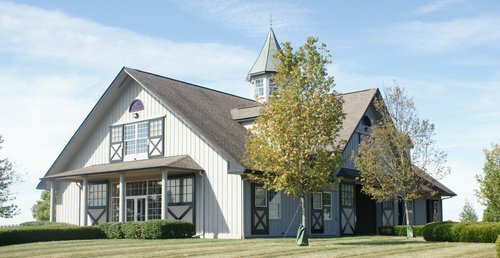 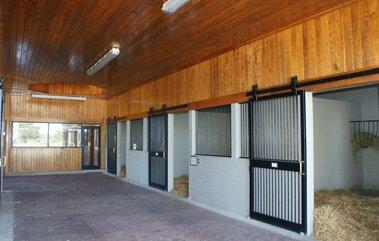 Additionally, there are 5 exceptional horse barns with 86 stalls. The farm is further improved with a large metal hay barn, a metal equipment building, and a shop/maintenance building. You'll also find a very nice manager home (suitable for an owner) with finished basement plus a renovated employee house. 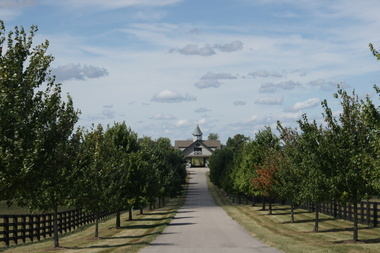 The farm has contiguous frontage (with the exception of a half acre lot) on Steele, McCracken, and New Cut roads. 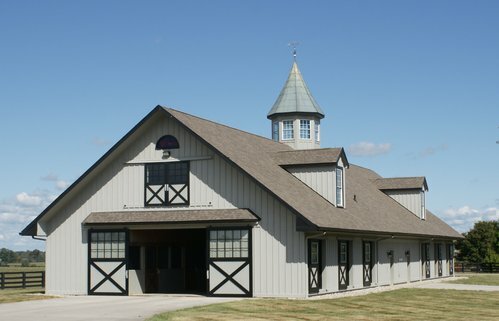 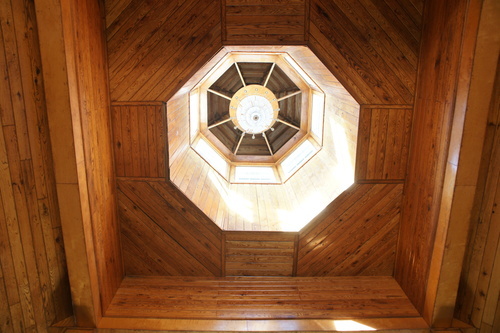 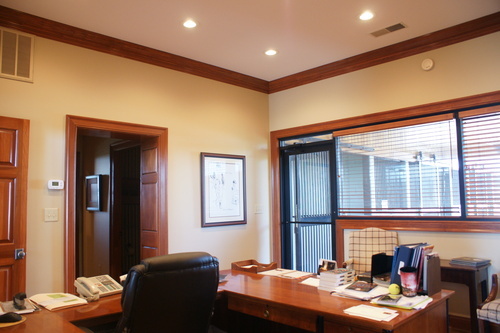 Quality construction was utilized throughout the farm and they are impeccably maintained. 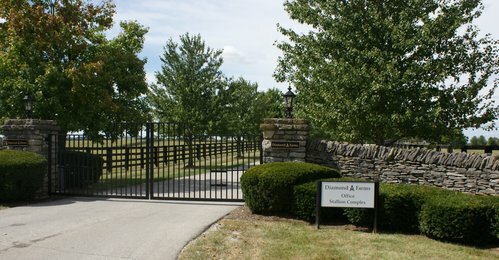 $13,070,000.